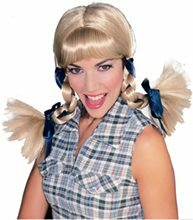 Deluxe Harajuku Adult Wig.Includes: One Deluxe Harajuku Adult Wig.Available Size: One Size Fits Most Adults and Teens. *Costume and Accessories Not Included. Sold Separately. Features one curly side bun with pink bow and a braid on the other side. 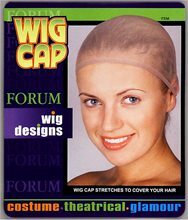 This wig fits both adults and teens. The wig is black in color. 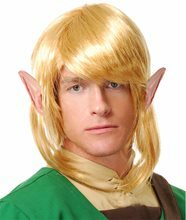 Elf Warrior Wig - This product includes one wig with attached elf ears. Kill Bill Sensei Wig and Beard Set.Includes: Wig, beard and eyebrows with self-stick adhesive.Available Size: One Size Fits Most Adults. *Costume and Accessories Not Included. 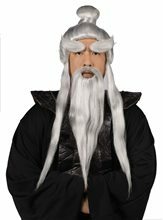 Sold Separately.No Kung fu master or Shaolin costume is complete without the Sensei Wig & Beard! 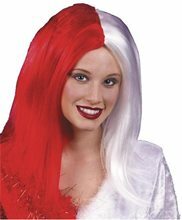 Naughty and Nice Adult Wig.Includes: One Naughty and Nice Adult Wig. 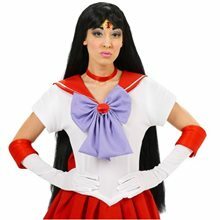 *Costume and Accessories Not Included.This unique wig can't decide which side it's on. Half is devilishly red and the other angelic white. Add your own horns or halo to complete the look. Complete your gambler costume with this Facial Hair Gambler Moustache featuring big, full black moustache. Moustache is made of synthetic material. Includes: One Synthetic Moustache. 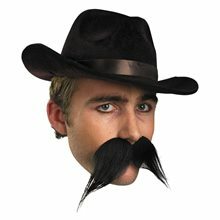 Hat Not Included.FACIAL HAIR - Gambler Moustache.Age Category - Adults/Couples.Brand - Facial Hair.Character/Theme - Western.Product Includes - One Synthetic Moustache. *Hat Not Included. 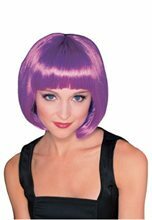 Super Model Purple Adult Wig.Includes: One short purple wig.Available Size: One Size Fits Most Adults. *Costume Not Included.WARNING!! : Keep away from fire. Not intended for use in play by children under 14 years of age.Achieve that super model look with that glamorous short purple bob!Made in China. Corpse Bride Adult Wig.Includes: One Corpse Bride Adult Wig.Available Size: One Size Fits Most Adults and Teens. *Costume and Accessories Not Included. Sold Separately. WARNING!! : Not intended for use in play by children under 14 years of age.Complete your Tim Burton Corpse Bride costume with this Corpse Bride Adult Wig!Made in China.